MILWAUKEE, WI. (THECOUNT) — 14 people have been killed in Milwaukee in 15 days, and now the sister of a pair of brothers slain Wednesday, is speaking out on the senseless violence. 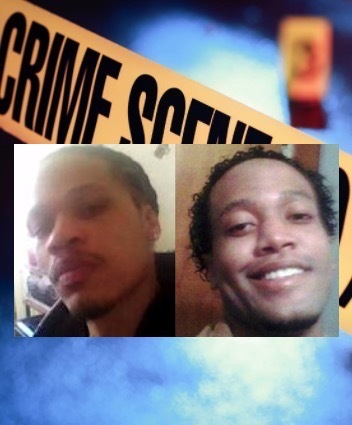 Milwaukee authorities confirmed “several” suspects in custody in connection with the fatal shooting of brothers, Justin and Tony Wright, near 6th and Center in Milwaukee Wednesday afternoon. TRENDING: URGENT: Florida Kids Missing May Be In Company Of Dade City Suspect Exhibiting "Erratic Behavior"
Police say they arrived on-scene shortly before 3 p.m. and discovered two victims suffering from gunshot wounds. The men were both pronounced dead at the scene. It is believed the fatal incident stemmed from an argument but no other information was immediately made available. Wright said there are 11 kids in her family. “We all love each other and this hurts because all of us are affected. It’s violence that’s very unnecessary. We should learn how to communicate and not always have to resort to guns. They were good young men. They were trying to change their lives. My brother Justin, I know he prayed and he was trying, and my other brother, he was on the path, trying to get it right too — and to take that from somebody for something dumb, it’s silly. I pray that we all turn to our faith, our God and just handle stuff differently,” said Wright. Anyone with information on the shooting is asked to contact police at 911. URGENT: Florida Kids Missing May Be In Company Of Dade City Suspect Exhibiting "Erratic Behavior"